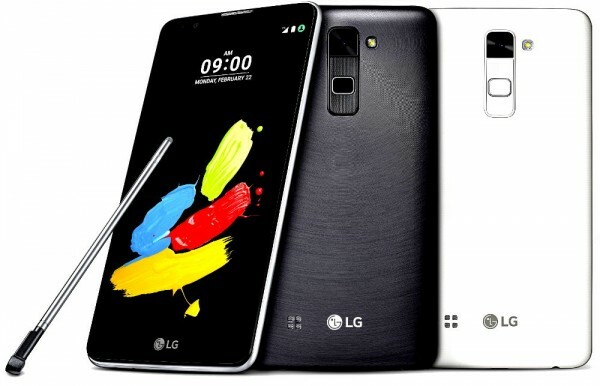 The South Korean giant, LG announced the LG Stylus 2 smartphone ahead of the MWC 2016 event in Barcelona last month. As said earlier, the brand has today officially launched the LG Stylus 2 in its home country Korea. The smartphone is the successor of the LG G4 Stylus that launched last year, and comes with an improved stylus. The smartphone is priced at 396,000 South Korean Won (approx US$ 328/Rs. 22,050) and will be available for purchase via all three major Korea carriers SKT, LG U+ and KT starting this week. The company has also said that the Stylus 2 will also release in the main markets like the US, Europe, and Asia in coming months. Coming to its specifications part, the LG Stylus 2 flaunts a 5.7-inch (1280×720 pixels) HD IPS display with In-Cell technology and offering a pixel density of 258ppi. Under the hood, it packs unspecified 64-bit quad-core processor clocked at 1.2GHz and is expected to come powered by Snapdragon 410 SoC. The smartphone supports dual sim dual standby and runs on latest Android 6.0 Marshmallow out of the box. It has 1.5GB of RAM, 16GB of built-in storage and also includes a microSD card slot for further expansion. On the photographic section, the smartphone sports a 13MP rear camera with LED flash and an 8MP front-facing camera for video chats and stunning selfie captures. Connectivity options on the device include 4G-LTE, NFC, Bluetooth 4.1, Wi-Fi, GPS/A-GPS and microUSB 2.0 port. The design of the smartphone is similar to its predecessor and feels rich in hand with a slim metallic frame around its sides. The handset powers a 3000mAh battery that the company claims can easily last for an entire day on a single charge. The dimensions of the device measure 155 x 79.6 x 7.4 mm weighs around 145 grams and comes in Titan, White, and Brown color options.